Of this population, 20 million people experience chronic tinnitus, which means that the sounds are consistent throughout their day. The ATA estimates that 2 million people experience tinnitus to a debilitating degree. In the past decade, the US Department of Defense has supported tinnitus research with millions of dollars. Sixty-percent of service men and women returning from combat zones have reported cases of hearing loss and tinnitus, due to exposure to loud sounds in the field. As a result, research has expanded greatly. When left untreated, tinnitus could lead to increased levels of stress, anxiety, and depression. Because the sounds could be distracting, it could interfere with the ability to concentrate, cause memory problems, and lead to mental fatigue. All of these factors could interfere with one’s health and well-being, as well as one’s social life and employment. There are two different types of tinnitus: subjective and objective. “While tinnitus is most often triggered by hearing loss, there are roughly 200 different health disorders that can generate tinnitus as a symptom,” says the ATA. Subjective tinnitus is the more common form of the condition, making up nearly 99% of all cases. With subjective tinnitus, only the person who experiences the condition hears the sounds. Subjective tinnitus may be caused by damage due to inner ear hair cells, sensorineural hearing loss, Meniere’s disease, impacted earwax, or a related health condition. Sensorineural hearing loss is a type of hearing loss that occurs due to exposure to loud sounds, aging (presbycusis), or use of ototoxic medications. Objective tinnitus makes up less than 1% of all cases. With objective tinnitus, both the person who experiences tinnitus and a person sitting in close proximity may hear the sounds. Objective tinnitus has been linked to circulatory problems, taking the form of pulsatile tinnitus (in which the sounds are synchronous with the heartbeat). Conditions which may lead to objective tinnitus include high blood pressure, muscle spasms, and problems with the small muscles and bones of the middle and inner ear. In some cases, treating these medical conditions could lead to relief from objective tinnitus. There is no single cure for tinnitus, but there are different treatment options available. Tinnitus and hearing loss often appear together, and by addressing your hearing loss, you may also address the symptoms of tinnitus. Similarly, addressing other medical issues present may help to lessen the symptoms of tinnitus. If you are experiencing tinnitus, the first step is to schedule a consultation and hearing test with us at Neighborhood Hearing Centers. We’ll determine your hearing abilities and recommend a course of treatment that will assist with your tinnitus. As tinnitus frequently appears in hearing loss cases, hearing aid manufacturers have included tinnitus management options with their hearing aids. Generally speaking, hearing aids amplify sounds in our environment, making listening easier. At the same time, sound therapy programs provide masking effects to overpower the sounds of tinnitus, providing relief. 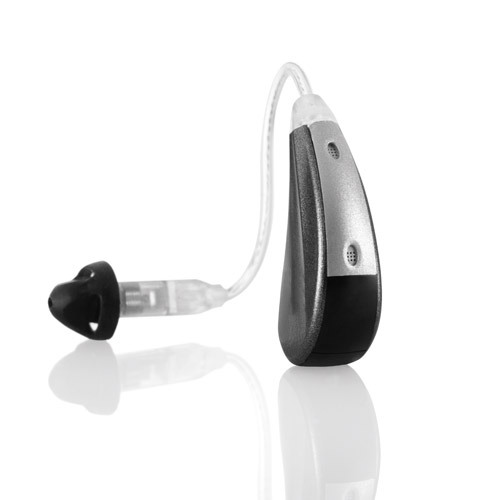 Hearing aids are prescribed after your hearing abilities have been assessed. A few exemplary hearing aids with tinnitus management programs are outlined below. 4) Relaxation, achieved through behavioral exercises and sleep management strategies. 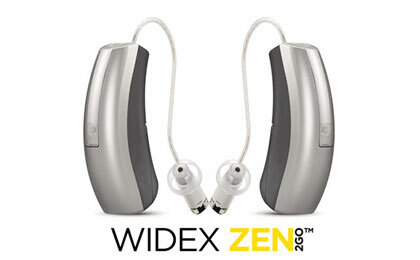 ZEN Tinnitus Therapy is available on a number of Widex hearing aids, as well as in ZEN2Go, a standalone device for those who do not experience hearing loss. Starkey is a Minnesota-based hearing aid manufacturer that offers Multiflex Tinnitus Therapy in several hearing aid models: Muse, Halo 2 (Made for iPhone), and SoundLens. Providing all-day relief, Multiflex Tinnitus Therapy consists of soothing sounds to mask the sounds of tinnitus. Multiflex Tinnitus Therapy is easy to control, with re-training options. 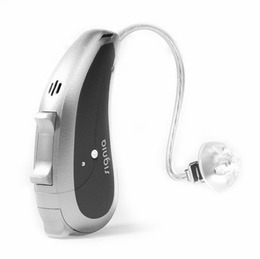 Starkey also offers a standalone tinnitus treatment with the Xino. The Signia Primax hearing aid offers nine channels of tinnitus therapy: five static noise channels and four ocean wave channels. This variety of relaxing sounds masks the frustrating symptoms of tinnitus, while innovative features of the Primax support the brain in listening with less effort. Signia is co-branded with Siemens, which also offers a tinnitus option for their hearing aids through BestSound Technology. Select Siemens hearing aids offer synthetic and natural sounds to mask tinnitus. Siemens hearing aids with tinnitus features allow wearers to switch between modes (microphone only, tinnitus therapy signal only, and a mixed mode of both). There’s no reason to live with the frustrating symptoms of tinnitus. Contact us at Neighborhood Hearing Centers today to schedule a consultation.